As a health care marketing director, you are tasked with communicating the impact of your health care marketing initiatives with the powers-that-be. There are few things more alarming to a healthcare CEO or Board of Directors (BOD) than not knowing where their marketing dollars are going. It’s crucial for them to see not only where the budget is being spent, but also how effectively it’s being used to meet their top-level goals. The intervals at which health care marketers are expected to report can vary widely – monthly, quarterly, annually – and the numbers and metrics that the CEO or BOD need to see are often undefined. In order for you to show what needs to be seen, you need to be able to clarify what’s expected. This begins with a conversation. Find the time to discuss your marketing report with the main person receiving it and determine which initiatives he or she is focusing on currently and what metrics make sense to him or her. Then, gather your data and start to compile it using the following tips to increase the readability and quality of your content. 1. Develop a schedule and stick to it. As a health care marketer, a hundred different priorities can pop during the course of your day and push “scheduled” to-do items to the bottom of your list. 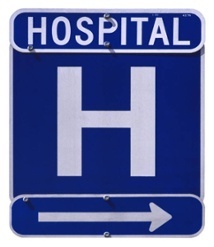 Don’t let the marketing report for health care CEOs be one of those items. Set a regular schedule that allows enough room for you to complete the report, review it, and send it to your CEO or BOD with time to spare. The consistency will be appreciated. 2. Focus on hard metrics. There’s a debate brewing in the marketing world over the use of hard metrics versus soft metrics. Hard metrics are the marketing results that can be directly connected to new revenue flow that was forecasted in your health care marketing plan. (Remember to calculate health care marketing costs). Soft metrics show interest in the form of interactions, clicks, and impressions. It’s up to you to determine what you need to show, but most CEOs and BODs are focused on the total cost of marketing, number of actual patients acquired, and the return on investment (ROI) figures. All of which are hard metrics. 3. Use the numbers you already have! 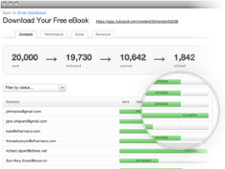 It’s likely that you or your organization use some kind of management software to track the annual budget and income, including the marketing spends. Use it! This is the perfect source to mine for information. From there, you can compare those numbers with the reports you receive and draw your conclusions. 4. Use formatting to communicate. Formatting goes a long way towards aiding readability and comprehension. You want your CEO or BOD to get as much out of your report as possible. That means you need to hold their attention and lay out a clear path of information for them to follow. Use the following formatting tools to help your report flow. 5. Draw clear and relevant conclusions. Your CEO or BOD is just as busy as you are, and you know how much you love receiving hard to decipher reports. Make it digestible and, without leading the data, help your boss grasp what you’re trying to communicate by being concise and drawing clear conclusions. Use these tips to mold your regular marketing report into a tool that helps you communicate clearly to your CEO or BOD. Show them where your marketing budget is being utilized and how effectively it’s producing an ROI. Your CEO or BOD will thank you for it. 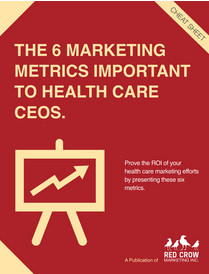 For more information on the exact metrics your health care CEO wants to see, download this free whitepaper.